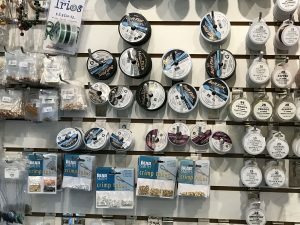 We offer everything you need! 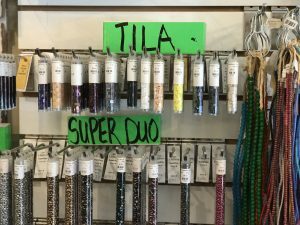 From beads and crystals of all types and sizes, to Sterling silver, copper, brass, gold-filled and plated clasps and components. 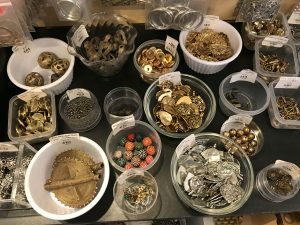 We have tools, findings and everything else you need to craft your own jewelry. We are all about workshops and customer service, so stop by and check out the latest projects. Our studio offers ongoing workshops in fiber/mix media arts, jewelry making and the business of crafting. Our craft studio offers workshops, trunk shows, monthly programs, private instruction, studio rental, party rentals and craft nights. 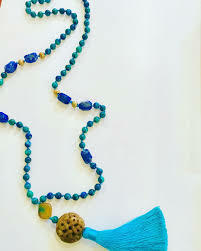 Learn how to design and make beautiful necklaces. We also have a nice collection of ready-to-wear jewelry for men and women.